For more inspiration, read our article, Create a Garden that Glows at Night. Looking for something distinctive and nature-inspired to light up your holiday display? 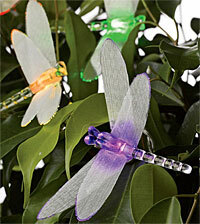 Consider our new Fiber Optic Dragonfly String Light. 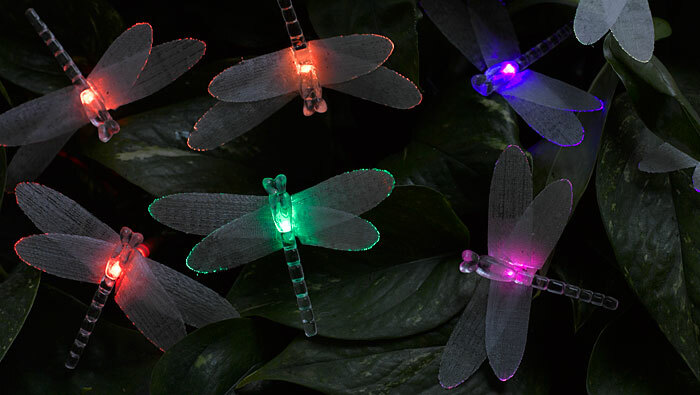 The glowing dragonflies have glittering wings that cycle through a spectrum of colors. Because the string is battery-powered, you can display it anywhere, any time — decorate your Christmas tree, light up a houseplant, frame a bedroom window or adorn your porch for a summer party. How much for the dragonfly fiber optic lights? I’m interested in this item. How can I order it?